Please join us this week for a special Shabbat Shira Musical Service on Friday and an important Community Meeting on Sunday. 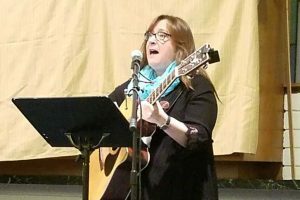 An extra-musical service, plus Torah reading of the Song of the Sea. Please join us for this important meeting to discuss the sale of our building and transition into a new space for our community, per the e-mail and letter sent by the Board. Thank you all for your contributions of food and your time at the lunch assembly yesterday. We made 235 lunches for the Lowell Transitional Living Center. We also sent a box of scarves and hats which Temple members made. The work was completed by many people of many ages. Thank you again and look for the next lunch assembly in early March.